The Holiday Catalog is just jam packed full of new and exciting products. I am over the moon for the new catalog. There are so many new punches, stamps, and framelits. Not to mention, new ribbon, new adhesive, new archival ink, new paper, and BEST OF ALL!!!! ALL NEW BUNDLES!!! This means you have all new opportunities to save!!! And who does not like to save…I don’t think I know one person who would say “saving is bad, 15 % discount is bad” It totally excites me that Stampin’ Up! rocked the Holiday Catalog. In preparing for the InKing Royalty Blog Hop I was thinking about all the different bundles. Did I want to use a Christmas Bundle, Did I want to use a Halloween Bundle, Did I want to use a Fall Bundle. Well, I decided to use one of the Bundles that was at the top of my Fall Must Haves. That Time of year when you are just starting to Bundle Up!!!! Acorny Thank You is such a cute new stamp set. I love the acorns and that one of the sentiments actually sates “Dropping in to say Hi!” This stamp set pairs with the new punch Acorn Builder Punch. In designing today’s card. I knew I wanted to use the New Designer Series Paper (Holiday Catalog) Into The Woods. All the designs are hand painted then reproduced. How cool is that!!! I also knew that I wanted to use three acorns that looked as though they were falling… To pair with the Sentiment. The card base is Daffodil Delight card stock cut at 4 1/4 inches and scored at 5 1/2 inches. “The Brian King Way” I wanted a tall looking card. So it works well if your fold is at the top of the card because it gives the illusion of being taller! Add the new Into The Woods Cotton Ribbon (Rich Razzleberry) to the designer series paper using glue dots on the back of the paper. On Whisper White Paper stamp the Acorn images in Daffodil Delight and Tangelo Twist. Also, on Whisper White stamp the Acorn tops in Blackberry Bliss and Soft Suede. Punch all these images out using the Acorn Builder Punch. On Whisper White card stock stamp the saying by masking of the hi and using Soft Suede ink. then stamp the image a second time masking off the dropping in to say using Blackberry Bliss ink. All that is left is to adhere everything together using Stampin’ Dimensionals and multipurpose glue. I love to take a few extra minuets and decorate my envelopes while I have everything pulled out. The envelope liner Framelits makes this a breeze. I also masked off the sentiment again and added the Hi to the front of the envelope. Love your card. You have convinced me to buy this bundle as well as the DSP. So stinky cute. Such a great card, Jennifer! I love your color choices – your acorns are so cute! So glad you were a part of this blog hop. Yippee! these are some of my favorite items in the Holiday catalog and you did a great job showing them off! This bundle is next on my wish list. Great card! Very nice card, but I admit it was the envelope liner that I think made it perfect! A perfect fall card. 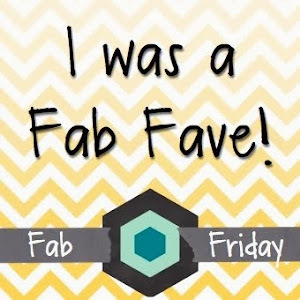 Your layout and color pallet are fabulous! I’m totally CASEing this one! Oh Wow Pam- Such kind words…I am so honored…CASEing is the highest form of flattery…Thank you for stopping by today! Such a perfect card for fall! I love everything about it! These colors are so perfect for fall but with a touch of bright. I think that my favorite Designer Series Paper from the catalog. Your layout is pretty amazing too. Shawn- Thank You so much!! This DPS rocks. I did not realize how absolutely amazing it was until I saw it in person!!!! Thanks for stopping by today! Great colors and layout, Jennifer! Love those acorns! Really like your card Jennifer. The colors are bright and cheery. Thanks for showing us your wonderfully decorated envelope. Well done. Barbara Jean- Thank You for always checking in and all your kind comments! The envelopes are always such a fun addition! Great use of this beautiful paper! So pretty and great colors! Anyone would be thrilled to get this card! I love th Hi on the envelope. A great touch!! Lynn- Thanks so much! I just love adding little touches to make everything come together. I’ve been trying to subscribe but keep getting error messages. Successful subscribing to other blogs. Problem on your end?